Programs in this core area enable youth to become proficient in basic educational disciplines, set goals, explore careers, prepare for employment and embrace technology to achieve success in a career. Project Learn reinforces and enhances the skills and knowledge young people learn at school during the hours they spend at the Club. This comprehensive strategy is based on Dr. Reginald Clark’s research showing that students do much better in school when they spend their non-school hours engaged in fun, educational activities. Through Project Learn, Club staff use all the areas and programs in the Club to create opportunities for these high-yield learning activities, which include leisure reading, writing activities, discussions with knowledgeable adults, helping others, homework help and tutoring, games like Scrabble that develop young people’s cognitive skills, and incentives to reward Club members for positive academic participation. Project Learn also emphasizes parent involvement and collaboration between Club and school professionals as critical factors in creating the best after-school learning environment for Club members ages 5-18. This program provides Club professionals with strategies, activities, resources and information to create an engaging homework help and tutoring program that encourages Club members to become self-learners. The Power Hour materials provide volunteer recruitment and training, collaboration with other organizations and use of technology and the internet. Goals for Graduation, a Project Learn program, introduces academic goal-setting to Club members by linking their future aspirations with concrete actions today. In a variety of one-on-one small-group and large-group sessions with Club youth development professionals, members set achievable “Know I Can” goals, more challenging “Think I Can” goals and yearly “Believe I Can” goals. Members create an action plan with daily and weekly goals leading to short- and long-term academic gains. Career Launch encourages Club members to assess their skills and interests, explore careers, make sound educational decisions and prepare to join our nation’s ever-changing work force. Club staff work with teens individually or in small groups to build their job-search skills and job readiness. Job Ready prepares Club members with specific skills to secure employment and be successful in the world of work. Using the comprehensive program materials and assessment tools that Job Ready provides, Club staff can tailor the program to meet their members’ particular needs. Teens learn how to identify job opportunities, write effective resumes, perform well in interviews, dress appropriately, develop good work habits and get along well with others in the workplace. Junior Staff Career Development is a comprehensive small-group program that assists Club members in exploring a career in youth of human services, particularly Boys & Girls Club work. 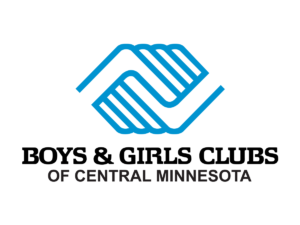 Through hands-on experience with helping others in the Club and community, field trips to other service organizations and one-on-one guidance from Club staff, youth prepare for future roles as human service professionals or volunteer leaders in their communities. Money Matters promotes financial responsibility and independence among Club members by building their basic money management skills. Participants learn how to manage a checking account, budget, save and invest. They also learn about starting small businesses, and paying for college.